Are you looking for good quality young children’s clothing? Or maybe you’ve got some that’s no longer needed? 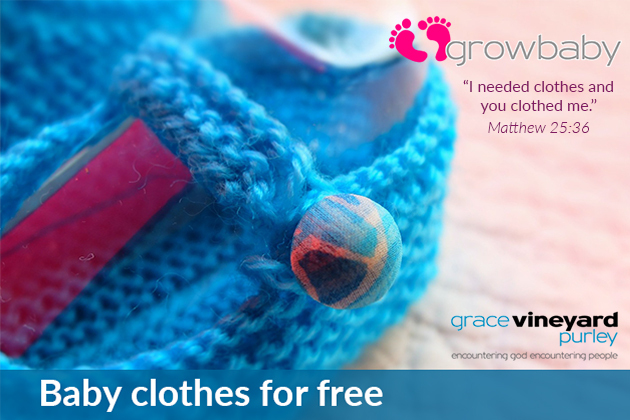 Growbaby aims to provide second-hand baby clothes and equipment (up to five years old), completely free, to anyone who needs it, regardless of income, background or faith. We also accept clothes and equipment from donors – all we ask is that you ensure they’re in good condition. Growbaby is open on TUESDAY MORNINGS from 9.30 to 11.30am during term times at Montpelier Church, Biddulph Road, South Croydon CR2 6QB. Please just drop in. Would you like to be notified whenever this site is updated?